Majid Al Futtaim—the leading shopping mall, communities, retail and leisure pioneer across the Middle East, Africa and Asia - is introducing nineteen new stores at City Centre Mirdif, with nine of them now opened, further diversifying its retail mix with contemporary brands and trendy international restaurants. “We are committed to maintaining City Centre Mirdif’s competitive edge as the preferred family-oriented shopping, lifestyle and entertainment destination in the UAE by continuously improving our offerings. By staying in tune with our customers and anticipating retail trends, we have set the benchmark for creating and maintaining a relevant destination that serves the wider community and evolves with market demands,” said Mohamed Al Jasmi, Mall Manager at City Centre Mirdif. City Centre Mirdif continues to deliver an unparalleled shopping experience with the opening of new fashion stores including Turkish brands stores Ipekyol and Machka, as well as modest women’s clothing at Montania and aspirational jewelry by Dusoul. While glowing mummies-to-be can finally find the perfect outfit at Destination Maternity. Multicultural fashion brand LC Waikiki and a taste of Emirati and Middle Eastern fashion at Feathers are now open along with a contemporary Spanish women’s fashion and accessories by Sfera. 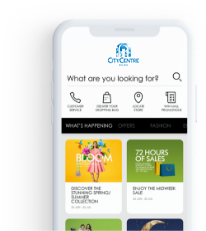 To find out more visit www.citycentremirdif.com or www.facebook.com/CityCentreMirdif or https://www.instagram.com/citycentremirdif/ or https://twitter.com/CityCtrMirdif or www.citycentremirdif.com.